Hello music video comrades! It’s Andy Gesner and the staff from HIP Video Promo, pleased to share a brand-new clip from one of the most consistently amusing – and visually striking – combos in pop music history. Even during the punk seventies and new-wave eighties, The B-52s always seemed to defy temporality, drawing inspiration from the past as well as the imagined future. It wasn’t merely because of their good looks and over-the-top image that the group were naturals for MTV – they’ve always understood the power of iconography, oddball visual humor and camp, and deftly-deployed cultural artifacts. The B-52s managed to stay cutting-edge, in part, because they refused to conform to any particular style. Now, sixteen years after the release ofGood Stuff, their last studio set, the band is back with an album of all-new material. Need we even mention that The B-52s sound as joyous – and as timeless – as ever? Produced by Steve Osborne – best known for his recent work with New Order – Funplex is pure B-52s, sonically updated but instantly recognizable. Keith Strickland’s guitar riffs and synthesizers are bright and colorful, Kate Pierson and Cindy Wilson harmonize as only they can, and Fred Schneider continues to be one of the funniest men in rock. Actually, we think he’s never been as witty or as scathing as he is on Funplex; the longer he observes our culture, the sharper he gets. 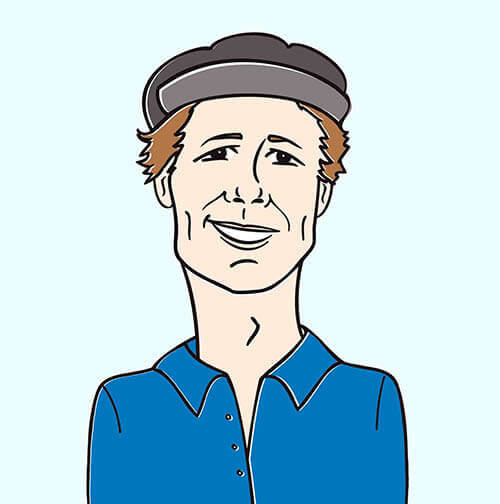 On “Funplex”, he imagines himself as a berserk mall shopper, burdened with bags and a mad desire to purchase; “what the hell will I do with this stuff?”, he asks, in that world-famous deadpan delivery. Meanwhile, Pierson and Wilson contribute another crisply-sung, irresistible chorus, sounding at once overjoyed and over-stimulated. Osborne outfits the band with a sound that fits their outsized personalities: glossy, electronic, explosive, at turns witty and wry. B-52s records have always been instant parties; here a shindig with its satirical undercurrent made manifest. The promotional clip for “Funplex” looks something like the record sounds: The B-52s are set loose in a neon-bright virtual reality shopping mall. Gabbing on cellphones and captured on security cameras, the band ascends a gigantic elevator to the intergalactic shopping center. Everybody’s fiddling with text messengers and eating super-sized meals; Styrofoam cup in hand, Fred Schneider blows through the crowd on a Segway. Ascending to the stars, he finds instead a phantasmagoria of logos. Throughout the clip, Kate Pierson and Cindy Wilson look like they’re about break out laughing – and their good humor and enthusiasm in the face of consumer overkill is infectious. The whole thing culminates in a wild “in-store” performance; “misery at the Funplex!”, Schneider shouts, as the crowd goes crazy. It’s worth noting that the group still looks terrific – they’re entirely convincing as mall-rockers. Those who remember the landmark videos for “Rock Lobster” and “Planet Claire” won’t be surprised to discover that the B-52s have done it again: they’ve made oddball social commentary irresistibly entertaining..
We’re thrilled that Risa Morley and the crew at Astralwerks have entrusted us to bring you this must-see new video from such a legendary band! If there is anything at all that we can do on our end to help assure that this video receives the maximum amount of programming from you, please don’t hesitate to drop us a line! If you need more info, call Andy Gesner at 732-613-1779 or e-mail us at HIPVideo@aol.com. 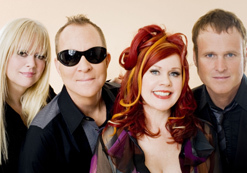 You can also visit www.Astralwerks.com, or www.TheB52s.com to find out more about The B-52s.